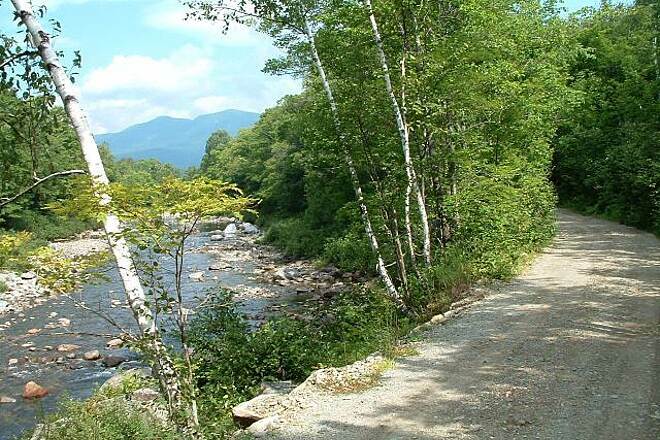 There’s plenty of room for backcountry experiences on the Narrow Gauge Pathway (also known as Carrabassett River Trail) nestled between Sugarloaf Mountain and the 36,000-acre Bigelow Preserve. 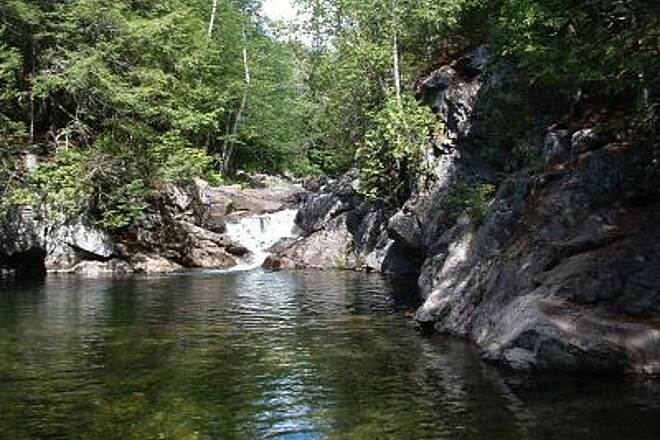 The firm, crushed-stone surface hugs the north shore of the Carrabassett River for 5 miles as it rolls through a rocky channel in a forest. 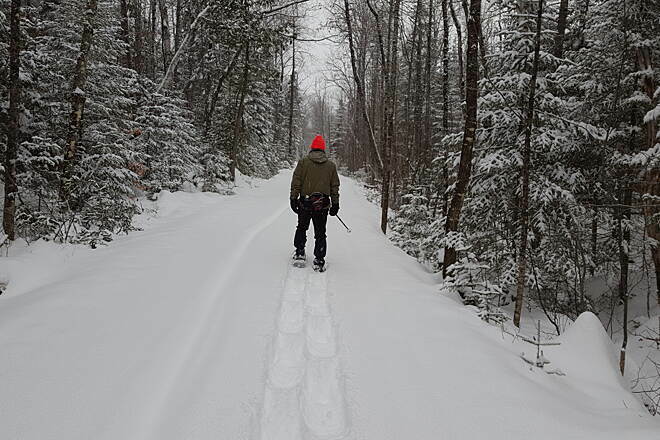 The trail surface, which is groomed in the winter for cross-country skiing, calls for the wider tires of hybrid or mountain bikes. 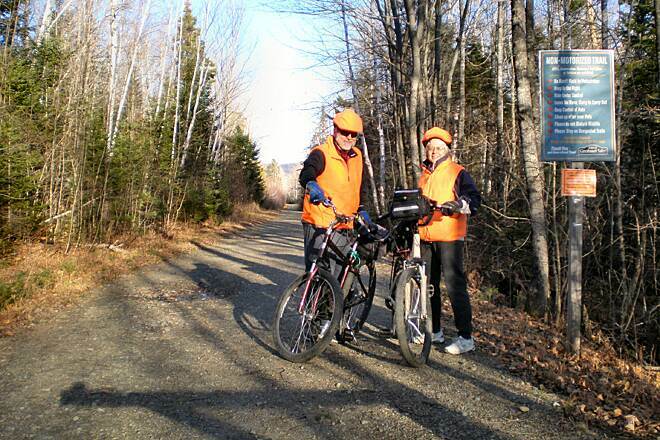 Unlike most other remote rail-trails in the state, motorized vehicles such as ATVs and snowmobiles are prohibited. 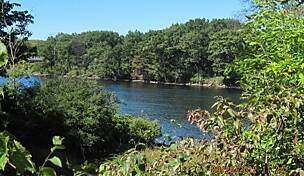 The trail follows the bed of the Kingfield and Dead River Railroad that served loggers and sawmills in the area. The railroaders chose a 2-foot-wide narrow gauge for track separation instead of the 4-foot-8-inch standard gauge because it was easier and cheaper to build and operate through rough, mountainous terrain. The narrow gauge railroad reached Carrabassett Valley from the south in 1894, extending in 1900 to Bigelow, where the old railroad station still stands. 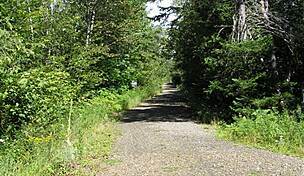 The Bigelow branch fell out of use in the late 1920s, and the town of Carrabassett Valley constructed the recreational path in 2001. 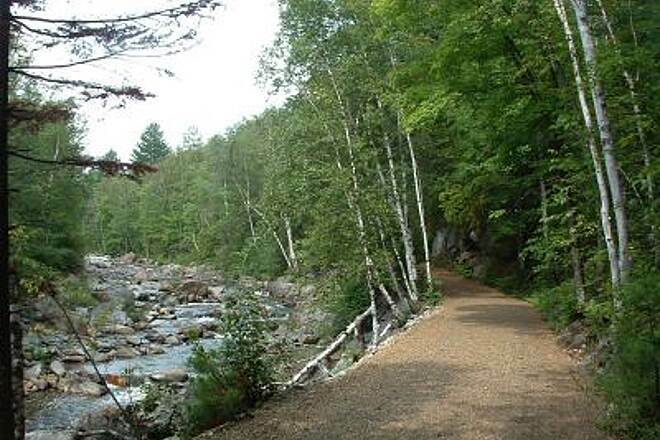 Starting at the Airport Trailhead, follow a trail that heads north into the woods and cross the Carrabassett River on a footbridge. Signs at a kiosk point to the Narrow Gauge Pathway on the left fork, where you’ll immediately cross a short footbridge over Huston Brook. 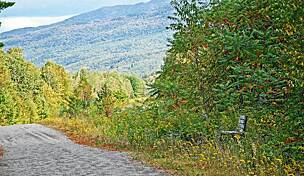 The trail offers a slight uphill grade all the way to the endpoint near the entrance to the Sugarloaf ski resort. 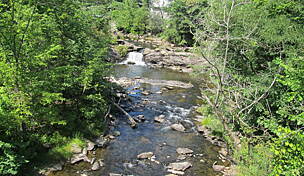 The trail rolls through forests uphill from the river for about 0.8 mile until the trail meets the river. 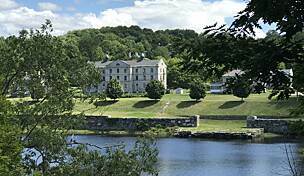 You’ll have river views most of the rest of the way to the western endpoint, about 4 miles away. There are several picnic tables at scenic overlooks along this section. 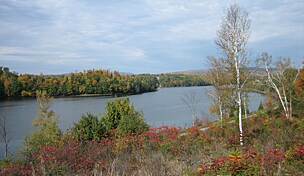 If you have your fishing license with you, there are many good places to throw in a line. 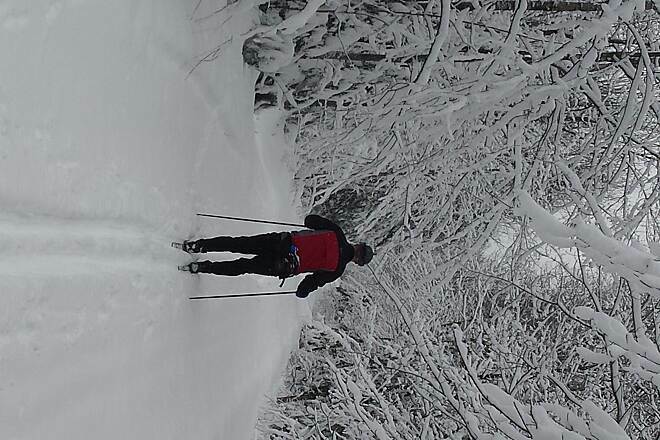 A path on the Maine Huts and Trails System veers off to the right in this area. Trailside wildflowers bloom in profusion from early spring through fall, while birch, aspen, and maple trees offer splashes of spectacular color during the fall foliage season. 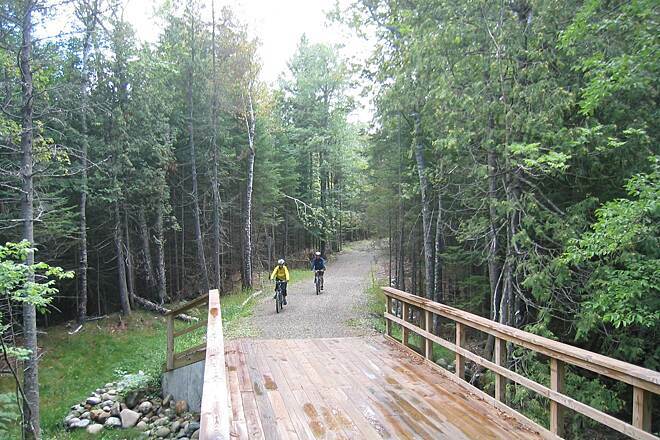 You’ll cross a boardwalk over a beaver flowage just shy of 4 miles from the trailhead. A left fork here crosses the river on a 0.2-mile trail to restrooms and parking at Campbell Field on SR 16/SR 27. 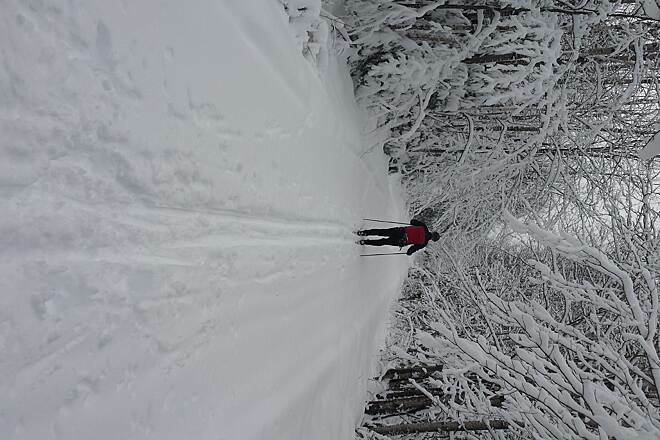 In another mile, another fork sends travelers left toward the trailhead and parking at the Carrabassett Valley Public Library. The right fork goes a short distance down Bigelow Station Road to the old railroad station set amid a collection of ski huts. The 2,200-mile Appalachian Trail is about 2 miles north on SR 16/27. To reach the airport trailhead in Carrabassett Valley from I-95, take Exit 112 or 112B toward Belgrade, heading north on SR 8/SR 11/SR 27. Go 24.6 miles north, and turn left onto SR 27/US 2. Go 9.6 miles and turn right to stay on SR 27. Go 3.1 miles, and bear right to stay on SR 27. Go 19.6 miles, and join SR 16/SR 27. Go 10.2 miles, turn right into the Carrabassett Valley Airport, and go straight to the parking lot. 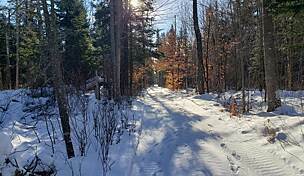 Follow a trail 0.2 mile north into the woods and across a footbridge over the Carrabassett trailhead to find the trail. 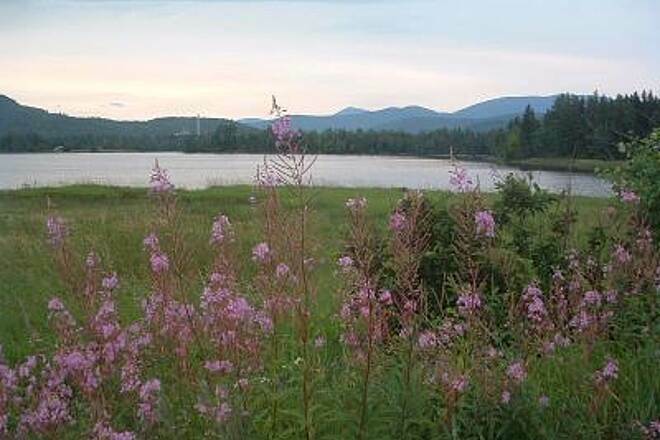 To reach the western trailhead at the Carrabassett Valley Public Library from I-95, take Exit 112 or 112B toward Belgrade on SR 8/SR 11/SR 27. Go 24.6 miles north, and turn left onto SR 27/US 2. Go 9.6 miles, and turn right to stay on SR 27. Go 3.1 miles, and bear right to stay on SR 27. Go 19.6 miles, and join SR 16/SR 27; then go 15.2 miles, and turn left into the parking lot for the Carrabassett Valley Public Library. The trailhead is 0.1 mile to the left (northwest) on the right side of SR 16/SR 27. Great ride. Slight incline westbound.Lots of spots worth pulling over for on a short trail. 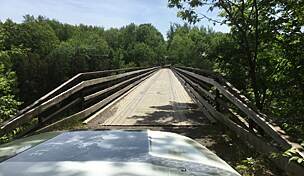 "Contrary to your description, the Narrow Gauge Pathway does NOT allow horses or snowmobiles. I live 2 miles from this trail. 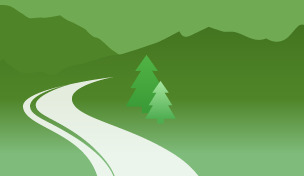 They are allowed on nearby trails, but not the actual Pathway--which is gated on both ends. The gates have been forced by disrespectful users (probably not we locals who work to keep it clean and clear!)"